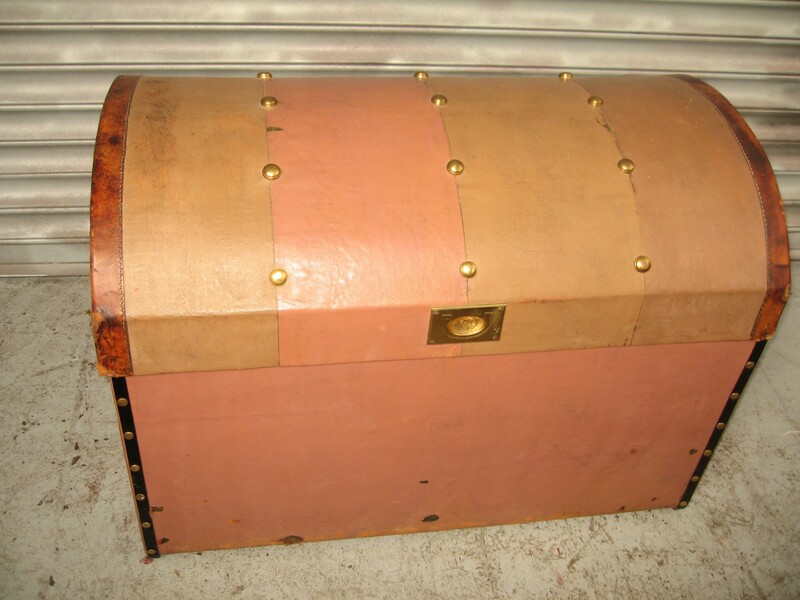 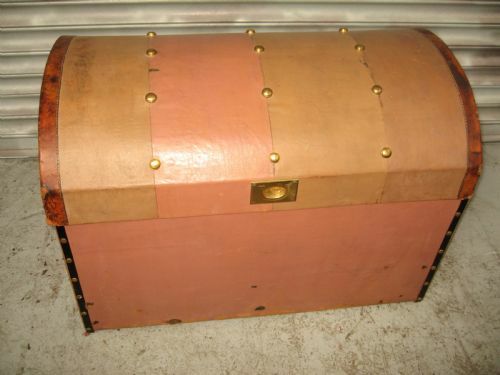 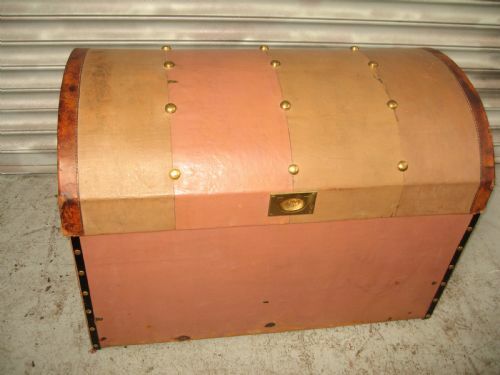 Dome top trunk storage box , dating from around 1900s the trunk is covered in a material with leather edging , brass studs and brass carry handles to each end . 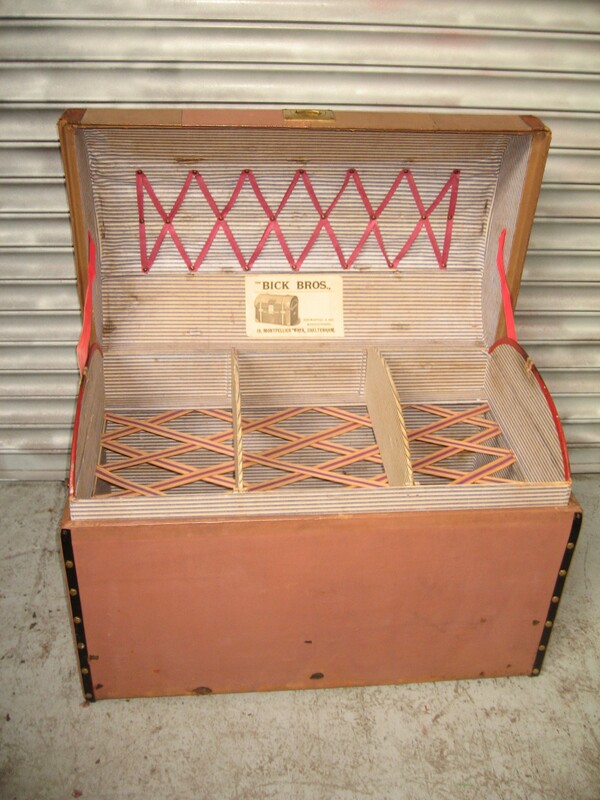 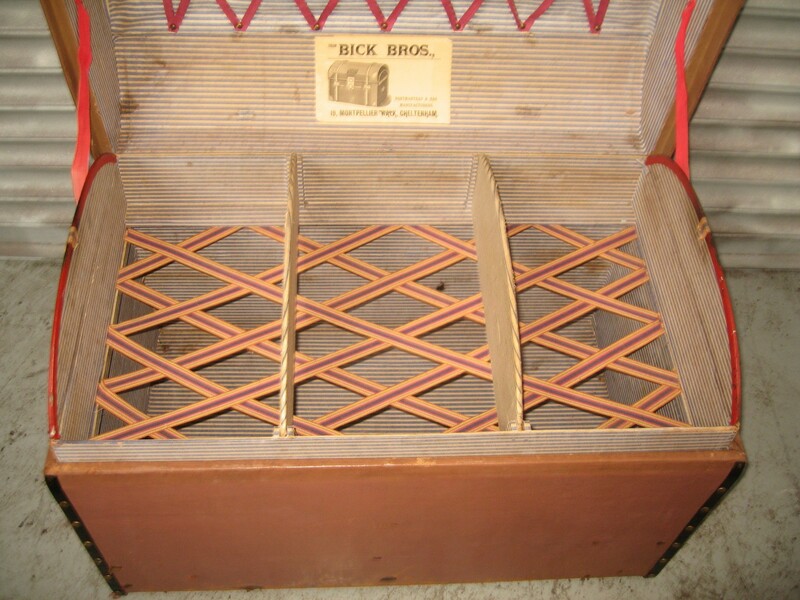 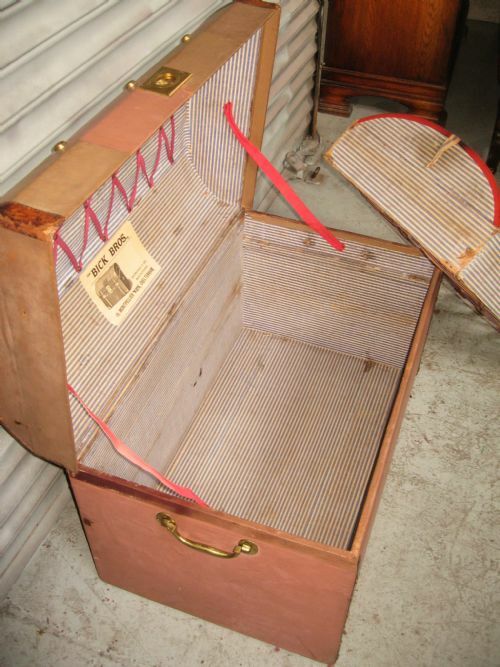 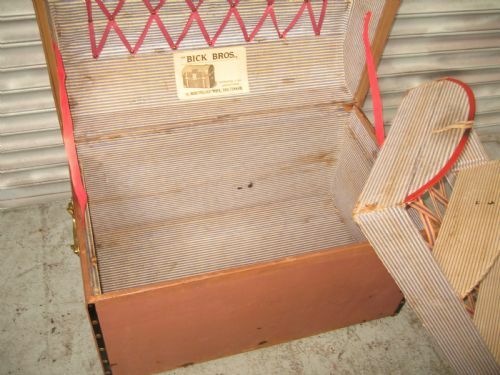 The interior has a lift out top tray , the underside of the lid has cross storage straps. 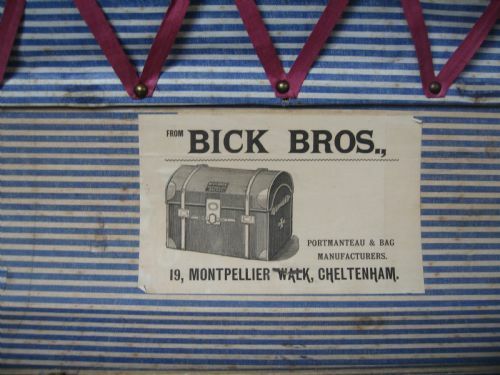 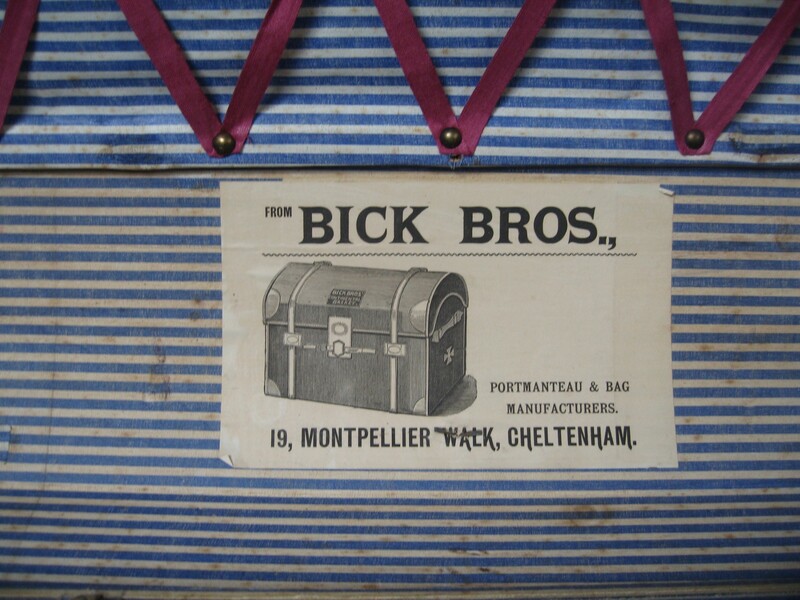 Makers label for BICK BROS, 19 Montpellier Walk. 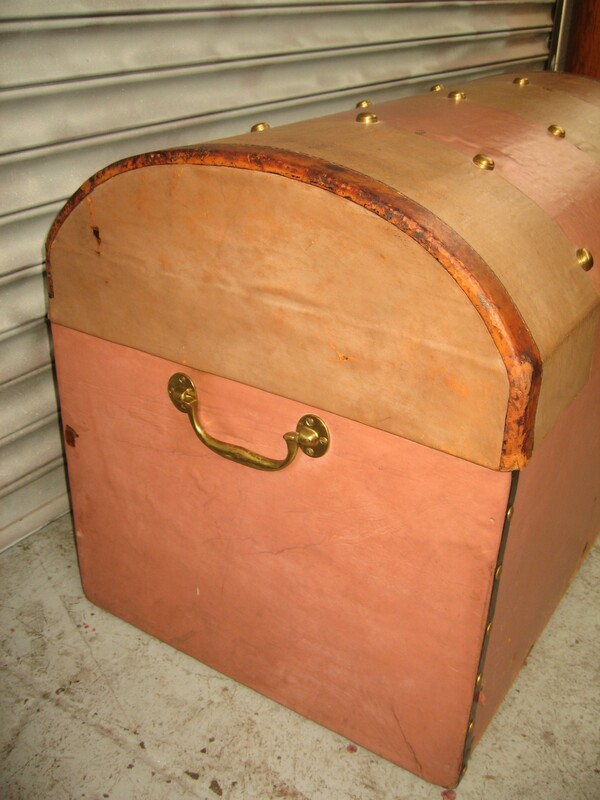 Cheltenham Size 33ins wide, 23 ins high, 20 ins deep. 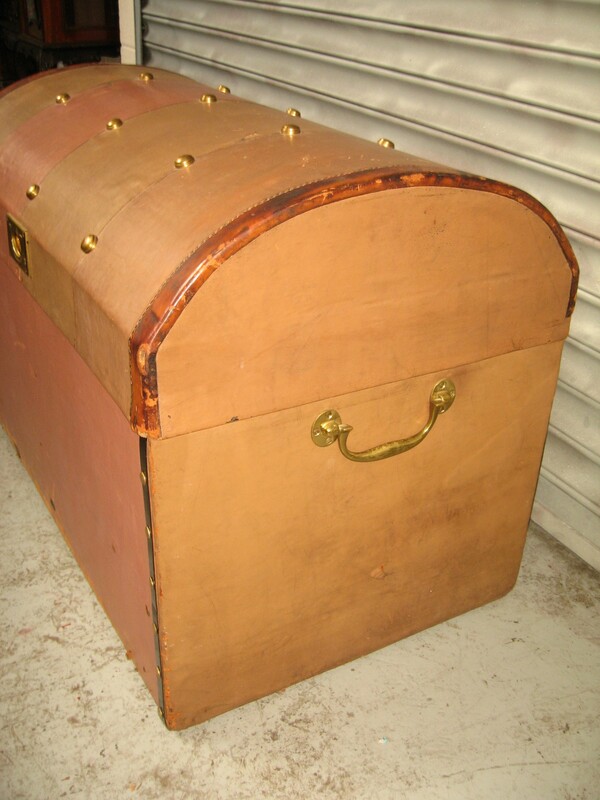 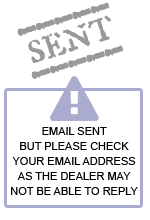 The Dome top trunk box has been added to your saved items.